In today’s economy, gaining and sustaining a competitive advantage is harder than ever. 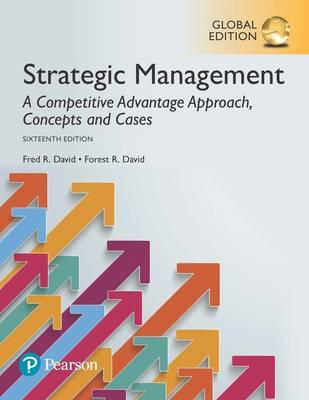 Strategic Management captures the complexity of the current business environment and delivers the latest skills and concepts with unrivaled clarity, helping students develop their own cutting-edge strategy through skill-developing exercises. The Sixteenth Edition has been thoroughly updated and revised with current research and concepts. This edition includes 30 new cases and end-of-chapter material, including added exercises and review questions.